Crescendo follows four generations of intertwined love affairs: love forbidden, and love betrayed, and love denied. Claire Swallow loved a man she could not marry, and married a man she could not love. Born to a wealthy California family, Claire guarded a bitter secret for years until her loyalty to her wayward son brings her to a bold, hazardous act. Not quite a crime, perhaps, but certainly an act that her father, the upright judge, would never have countenanced. Claire’s father, Judge Anson Swallow was so committed to principle that he once cast $100,000 into the sea so that the money would not taint his family. His death, shortly after this futile gesture, left Claire bereft and rudderless, a university student suddenly unable to afford the university, a talented pianist denying her own gifts, a young woman besotted with a man whose passions would always be political. The choices Claire Swallow makes in her headstrong youth will ripple through her whole life. 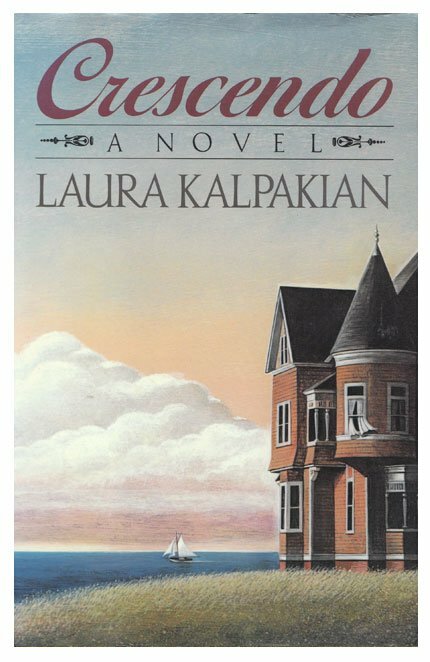 Twenty years later she finds herself living in a crumbling beach house, the last remnant of her family’s wealth. Here, with her embittered aunt, her vacant mother, her failed-gambler husband, she tries to offer her sons some shred of opportunity. A visitor from the past, the attorney, Hoolihan, will obtrude on Claire’s present. Ruthless, cajoling, alert always to any adversary’s weakness in court, Hoolihan will offer Claire the key to parting with the one final secret that might, possibly, return her self-respect. Crescendo, like Beggars and Choosers, These Latter Days, Caveat and other fictions of mine, explores the power and peril of the past.